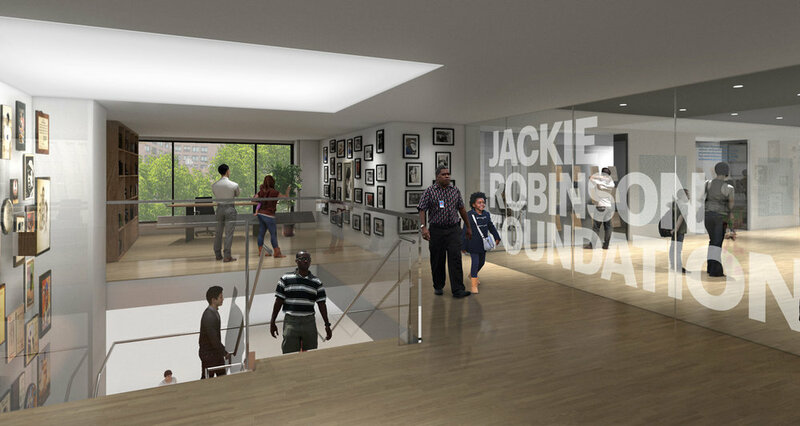 The Jackie Robinson Museum will celebrate the continuing legacy of one of the most important Americans of the 20th century. On April 15, 1947, Jackie Robinson took a major step for civil rights, breaking the color barrier in Major League Baseball. Robinson also became a key figure in advancing equal opportunity and first-class citizenship for African-Americans. The exhibition will chronicle Robinson’s trailblazing achievements against the backdrop of United States history, from his birth in 1919 to today. Invoking Robinson’s role as a champion for social and economic equality, the museum’s programming will serve as a catalyst for dialogue on today’s social issues. THERE IS NOT AN AMERICAN IN THIS COUNTRY WHO IS FREE UNTIL EVERY ONE OF US IS FREE. The Jackie Robinson Museum is designed for learners of all ages with an interest in learning sports and civil rights history while considering contemporary issues through the lens of Robinson’s legacy. Visitors will explore key moments of his life through narrative, interactives, media, and artifacts, including game worn uniforms, Jackie’s 1949 Major League Baseball MVP award, and his military service records. Interactive, thought provoking activities and events will be designed for a wide array of audiences—from innovative workshops and special events for students and teachers, to intergenerational and adult public programming featuring celebrities and renowned experts, and more. Archives will be available for scholarly studies, and the museum's website will contain dynamic content to encourage both on and off-site interaction. A short walking distance from both Tribeca and Soho in lower Manhattan, the museum is centrally located and easily accessible by subway and bus.